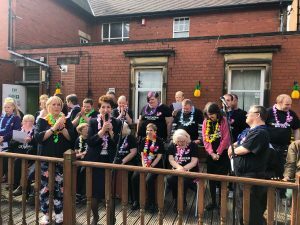 Home/News/News/Annual Festival raises over £1,000! Last weekend we hosted our annual festival, and what an amazing day we had! We welcomed over 180 people and raised an amazing £1,059!! 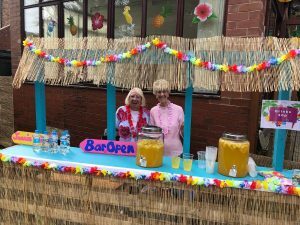 This year’s festival had a Caribbean theme and our guests enjoyed food and drinks from our tiki bar, and amazing music from Holly’s School of Steel and our very own Northern Notes. We were also thrilled to welcome elected Mayor Norma Redfearn to officially open the event. We would like to say a big thank-you to Orbis Support for sponsoring the event, and to the following organisations for providing us with some fantastic raffle prizes – Experience Days (http://www.experiencedays.co.uk), Newcastle Racecourse, Sainsburys Heaton, Booker Wholesale and Amazon.